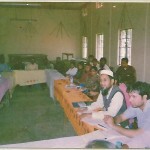 Barak Education Society is a non-political, secular, voluntary organization established on 21st February 1997, at a meeting of some education lovers held at Meherpur, Silchar, Cachar, Assam, India. 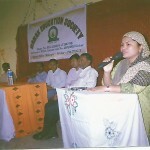 The area of operation of this organization is the three districts of south Assam viz. 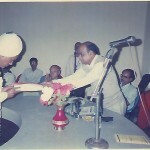 Cachar, Karimganj and Hailakandi. The Central Office is situated at Hailakandi Road, P.O. Meherpur, Silchar -788015. The primary concern for establishing this society is to create awareness among the mass people particularly students and youth for promoting quality education and research. 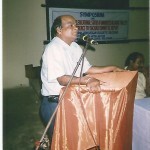 Any Indian citizen residing permanently or temporarily in Barak Valley and of minimum 21 years age having minimum educational qualification as H.S/ H.S.S.L.C/ PU or equivalent examination passed may join the mission of the society as per rules. Since 1997, the society has been registered under society Registration Act XXI of 1860. 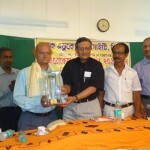 It is also affiliated to NYKS, Cachar. The society has been functioning with two tier committee system i.e. Unit Committees and Central Committee. Of course, there are Advisory Committee and Patron Council. It has been giving priority to the people belonging to disadvantageous groups like religious and linguistic minorities so that they may fully join the national mainstream and contribute to the national development.